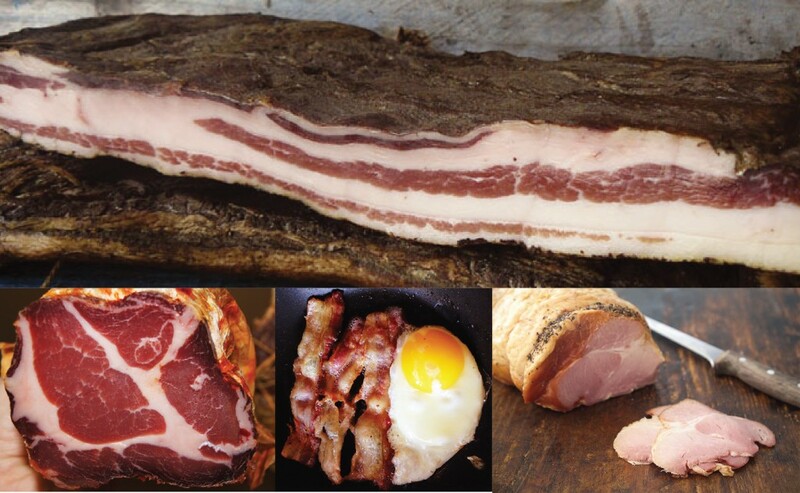 Wickedfood Earth Farm has become synonymous with free-range pork and top quality charcuterie, including our range of sausage, coppa, pancetta, bacon and ham. At our country cooking school we offer hands-on Charcuterie courses where we share the knowledge we have accumulated over the last 6 years on processing pork. 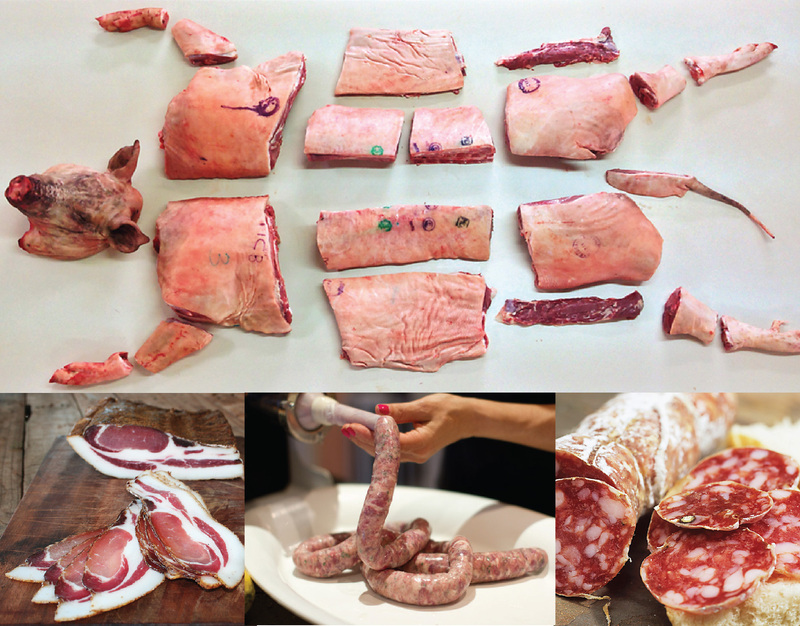 Subjects we cover in our charcuterie courses include breaking a pig into the various cuts, curing including coppa, pancetta, bacon and ham, sausage and salami making. To crown it all off, you receive extensive notes and hands-on experience, and will get to enjoy a delicious mezza lunch of our cured products. Easy Salami – how spices and preservatives work, and grinding and stuffing salami. Hands-on demonstration on how to prepare, apply dry cure and age the different cuts of meat. The secrets of hot smoking at home. Hands-on workshop, grinding, spicing and stuffing. Make 4 classic sausages – our classic award-winning boerewors, breakfast pork, Italian style and chourizo. Making 3 classic dry sausages – classic South African droewors, cabanossi and classic pork salami. Making various dry sausages and the secrets of complex stuffing techniques. The art and science of emulation sausages, how to achieve the perfect unity between meat, fat, liquid and spices. To book: Contact Cilla cilla@wickedfood.co.za 076 236-2345. Ask Cilla for accommodation options in the area. For more details on the Charcuterie Workshops contact Mike earth@wickedfood.co.za or 060 7621-0885.